A key question centres on why public sector (or indeed any) organisations use management consultants. On the one hand, it is clear that the growing size and complexity of the NHS has generated a demand for expert advice and support which cannot always be provided in-house. However, critics argue that management consulting firms have fuelled unnecessary demand through sophisticated selling techniques and back stage deal-making with politicians (the so called ‘revolving door’). A recent example is the development of ‘Sustainability and Transformation Partnerships’ in the NHS which are said to have ‘created an industry for management consultants’. To date, it has been hard to evaluate these competing claims about the value of management consultants. According to David Oliver, most NHS organisations have been either unable or, for political reasons, unwilling to engage in formal evaluation, resulting in an absence of ‘rigorous, peer reviewable, transparent data’. In this regard, our own study breaks new ground. To estimate consulting use, we collected data on ‘consulting services’ expenditure from the Annual Reports of acute care hospital trusts in England for four years (2009/10 to 2012/13). In 2013, the 120 hospital trusts included in the sample had a cumulative cost of hiring management consultants of nearly £600 million. This meant an average annual expenditure on consultants of around £1.2 million per trust (although this varied from zero to £5.6 million). Using pooled time series regression analysis, we looked at the relationship between this spending and the efficiency of each hospital trust over time. The results of this analysis were undoubtedly revealing. While in some cases spending on management consultants did improve efficiency, overall consulting use generated inefficiency, thus making the financial situation of clients worse. In monetary terms, these losses were not great – on average £10,600 for each hospital trust per annum. However, this is in addition to the annual £1.2 million fees already paid to management consultants on average by each trust for little or no gain. To conclude, these findings suggest that while efficiency gains are possible through using management consultancy, they are the exception rather than the norm, as one would legitimately expect. Overall, the NHS is not obtaining value for money from management consultants and so, in future, managers and policy makers should be more careful about when and how they commission these services. More thought could also be given to alternative sources of advice and support, from within the NHS, or simply using the money saved on consulting fees to recruit more clinical staff. Of course, when drawing this conclusion, it is necessary to strike a note of caution. From the available data, it is not possible to explain exactly why management consultants are having such a negative impact on efficiency. Part of the problem may be their lack of in depth understanding of healthcare organisations or disruption caused by having too many consulting projects. However, some responsibility for inefficiency should also sit with politicians and NHS managers who make poor procurement decisions and then fail to implement the advice (even the good advice) they receive. These caveats suggest that more research will be needed in future. Nevertheless, our study is a useful first step in strengthening the evidence base and challenging the myth that management consultants generate efficiency in the NHS. 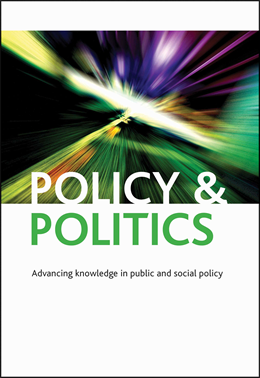 Kirkpatrick, Ian; Sturdy, Andrew J; Reguera Alvarado, Nuria; Blanco-Oliver, Antonio; Veronesi, Gianluca, The impact of management consultants on public service efficiency, Policy & Politics DOI: 10.1332/030557318X15167881150799.